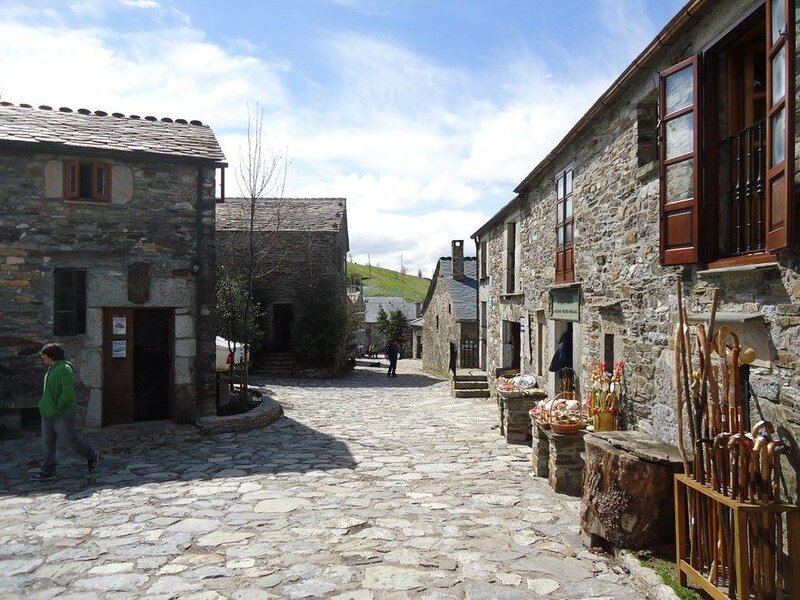 The French Way is one of the most popular routes among people walking the Camino de Santiago. This particular route dates back to the Codex Calixtinus from the 12th century and is by far the most known Camino route internationally. In the Medieval times, thousands of pilgrims began walking the Camino Frances in order to reach the Tomb of the Apostle Saint James the Great. In more recent times the popular film "The Way", starring Martin Sheen, has rejuvenated interest in the French Way. You will be transferred around 18.30 from Biarritz airport to your hotel. You will be booked into your hotel in the heart of this charming town, and will have the opportunity to relax and get to know your fellow walking before the challenge starts in full. DAY TWO: Saint-Jean-Pied-de-Port To Roncesvalles (8h, 25km). Never ones to shy away from a challenge, this first day is considered the most difficult of the Camino, as the route crosses the Pyrenees. We start with a steep climb, on through orchards and past country houses and then, later, through vast meadows, before weaving our way alongside leafy beech woods towards the border and the descent into Roncesvalles. Today, the Camino crosses two beautiful mountain passes and continues on through beech and oak woods and meadows before coming to Espinal, where the panoramic views of the countryside with the Pyrenees in the background are a sight to behold. The river Arga runs alongside this part of the Camino and continues its course all the way to Larrasoana. The Camino runs along the river Arga, at the foot of a group of hills covered in beech, oak and Scots pine. As we approach Pamplona, the landscape shows the obvious influence of civilisation; with its conifers, reforestation and farmlands guiding you into town. When leaving Pamplona behind, you're also leaving behind the Atlantic area of Navarra. From here onwards, the landscape will be dominated by cereal crops, Holm oaks and Mediterranean brushwood. The Pamplona basin is left behind too when you cross the "Alto del Perdon". From Puente de la Reina, the Camino to Estella is very uneven and quite agricultural, meandering through picturesque farmland. Small towns and villages are dotted amongst cereal fields, vineyards and olive trees. Today you travel through the Rioja area of Navarra, walking though olive groves, wooded areas, cereal fields and, most importantly, the vineyards! From Villamayor do Monjardin to Los Arcos the route takes a drastically more remote turn; you'll cover 12km without coming across a single village. We think a fittingly serene end to a fantastic challenge. No walking today (unless you fancy a meander through the town) - after breakfast, we bid you farewell!